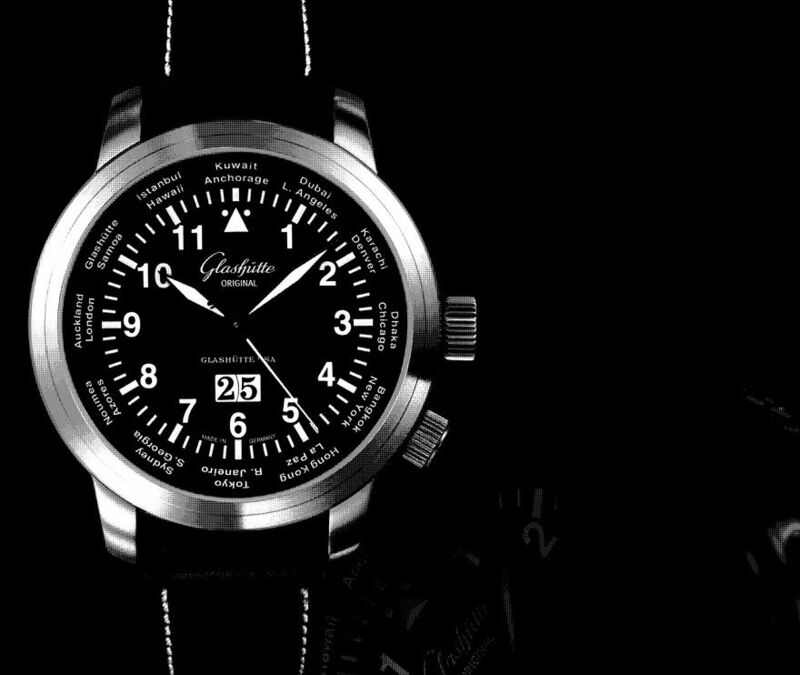 With Glashütte Original’s long tradition and expertise in creating pieces in the aviation genre, this world time watch is a fitting addition to their Senator Navigator collection. 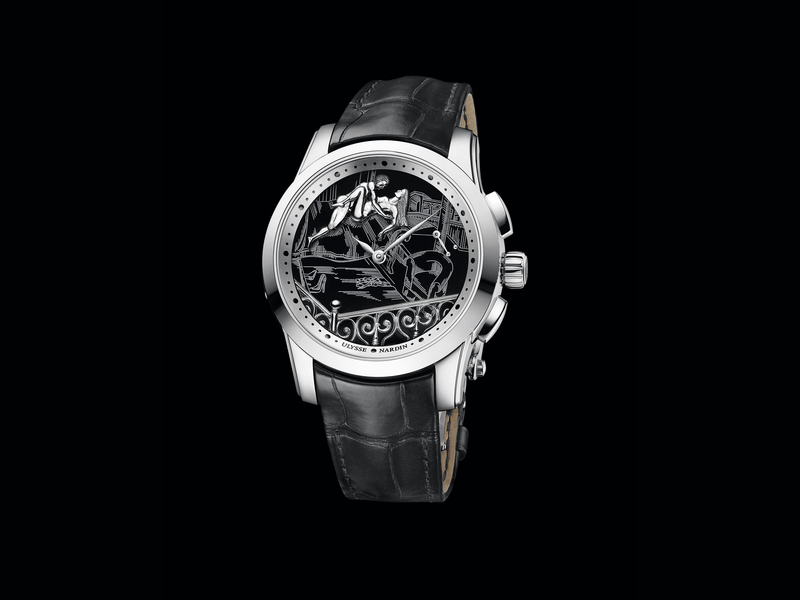 Symbolized in each piece is the fascinating entwined history of industrialization, international travel and aviation development, not to mention fine German craftsmanship. By the 19th century, the world had become an ever-shrinking place with the relevance of different time zones thus becoming highly significant. Before aeroplanes, traveling pioneers were already well traversed across continents and oceans, from which the desire for rail and ship captains to know at a glance the time at various ports of call was born and answered in the form of the dual-time pocket watch. By 1929, the concept of dividing the world into time zones was finally adopted by most countries, and although today there are 40, the original 24 time zones continue to take priority. This standardization brought about much wider usage of world time pocket watches, which showed the time in various different major cities across the globe. For budding flyers, international travellers and businessmen alike, this ability to know instantly the time in other major cities was a valuable aid. Further important developments of this era came in response to the world of aviation’s desire for functional timepieces and quality instrumentation that were much easier to read than the pocket watch. Answering this need was the wristwatch, which served up time information at the flick of the wrist; the wristwatch then evolved, with accuracy and optimal legibility, into a truly classic genre of watch: the pilot’s watch. Of this distinguished lineage, the Senator Navigator WorldView is a convergence of the evolution of two kinds of watches that were born out of aviation and the rise of rapid international travel. 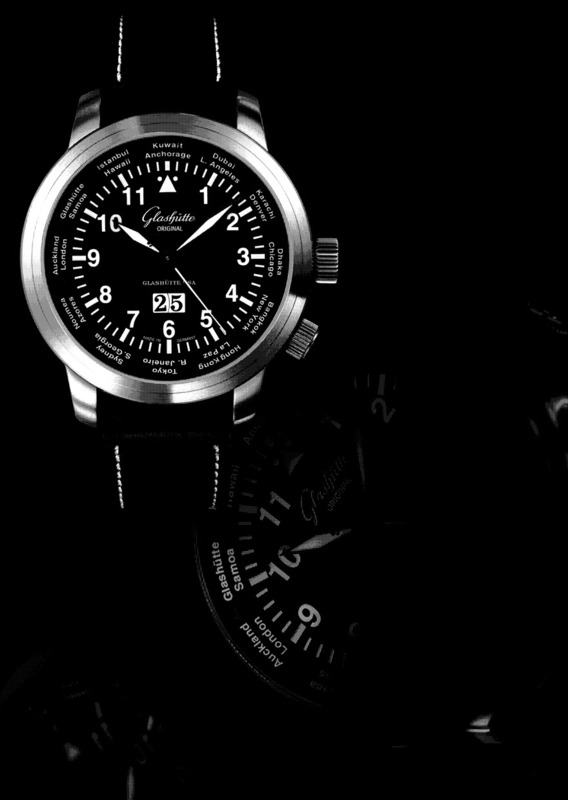 In the WorldView, the visual embodiment of the pilot’s watch is honoured and beautifully achieved with the robust satin-finished stainless steel case, matte black dial with oversized Arabic numerals (with the even hour indices coated with SuperLuminova), and line markers for easy readability. At the 12-hour mark is a triangular reference marker for easier orientation on the dial. Precision in detail is at the heart of all Glashütte Original designs, and the WorldView not only represents the quality of the Saxon art of watchmaking, but pays homage to the mechanical skill of world-time watches. 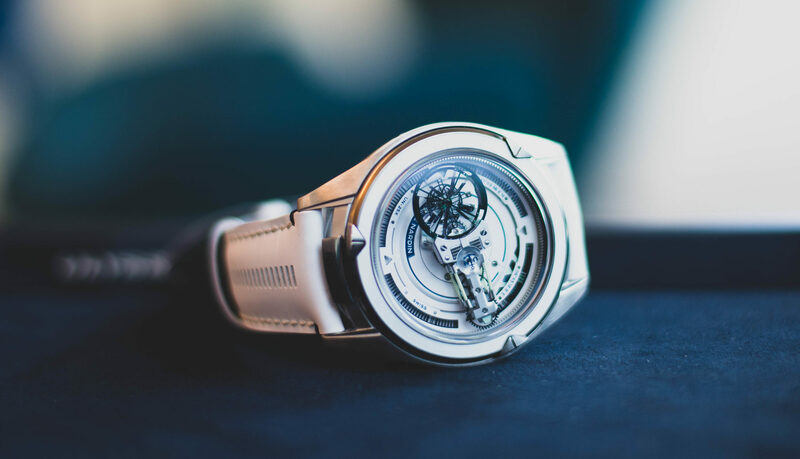 Whereas most world-time watches simultaneously display time in all 24 time zones using an adjustable rotating inner bezel inscribed with 24 cities and a rotating 24-hour disc, in the Senator Navigator WorldView, the 24-hour disc is eliminated. Instead, you rotate the inner bezel and read the time in each zone using the 12 hour indices. Achieved logically yet with grace, the rotating inner bezel that lists the main time zones is split into two groups: on the outer ring, those named cities are ahead (in terms of time, relative to your position) of the one shown by the hour hand, and the cities on the inner ring are behind. Reading of the time in cities around the world is done by turning the crown at four o’clock to line up the reference city for the local time zone with the hour hand. Housed inside WorldView’s 44mm case are features demonstrating traditional German watchmaking values, precision and detail. The sapphire-crystal caseback reveals the calibre 39-47 movement, the Glashütte three-quarter plate decorated with Glashütte ribbing, a skeletonized rotor with gold oscillating weight and swan-neck fine adjustment. A fine example of German watchmaking, Glashütte Original’s Senator Navigator WorldView represents a fantastic marriage of iconic design with combined functionality and sleek modernism. Caliber 39-47 self-winding movement, 40-hour power reserve, 44mm stainless steel case; water resistant to 50m, vintage calfskin strap with contrast stitching. Adapted from an article by Sarah Murray in REVOLUTION’s archives.